One of our favorite skinny tips is to have healthy snacks ready and waiting for us in the fridge. It is so easy to reach for a bag of chips when you're starving and need something quick. It's Monday ladies... so start the week off right and join us by prepping out healthy snacks for the week! 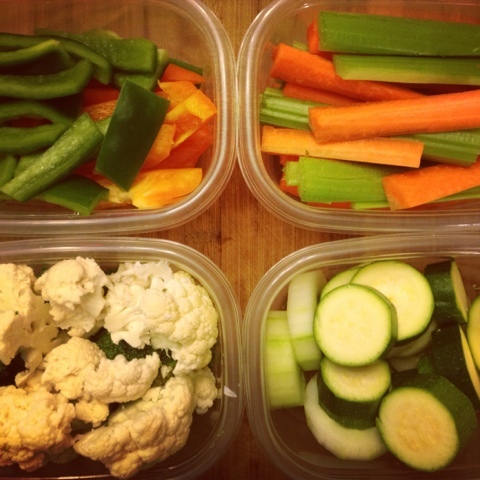 We simply chopped up our favorite veggies and stored them in containers for easy go-to snacks! We chose carrots, celery, cucumber, zucchini, cauliflower, broccoli, and peppers. This doesn't take long and trust us you're going to feel so good when you look into your fridge filled with veggies washed, chopped and ready to eat! Making your own hummus is super easy. Simply toss the basic ingredients of garbanzo beans, tahini paste, garlic, lemon juice and olive oil into the food processor and then add the flavors of your choice to spruce it up. 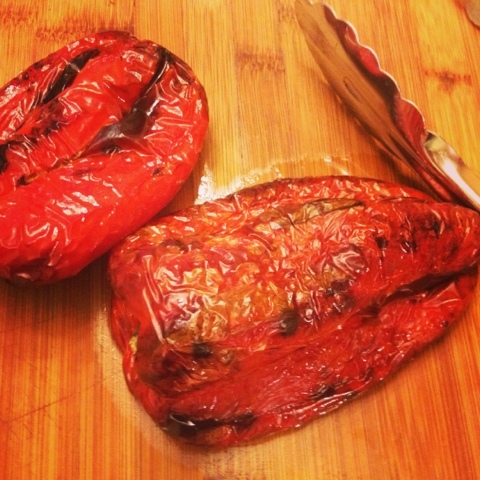 We used roasted red peppers and cilantro in this weeks batch. 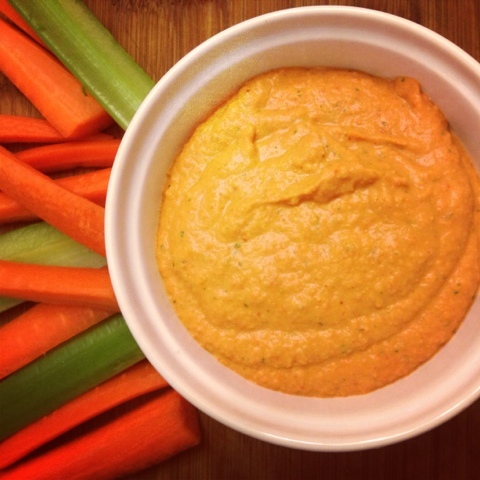 Put your chopped veggies and this hummus together and you have yourself the perfect snack right around 100 calories! Two tablespoons of this delicious hummus is only 62 calories! Hope you enjoy this healthy veggie and dip combo!